For several years, Jens Krogh Petersen has been involved in the sale and purchase of enterprises (M&A), including for private equity funds, for Danish as well as international clients. In this connection, he has also assisted a number of Danish and international enterprises and banks in the financing of transfers and other kinds of financing. Jens has vast experience in managing and driving major transactions forward, including mergers and acquisitions, large investments in enterprises and restructurings. In addition, he has, for a number of years, advised Danish and international clients on agreements relating to assignment of rights, in particular within the music, film and TV industry (media and entertainment). 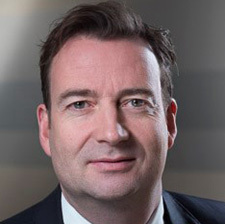 Jens is ranked with a number of ranking institutions, including Legal 500 and Who's Who Legal, and is also in charge of LETT's international desk.